Awarded $5,000 for best data visualization. 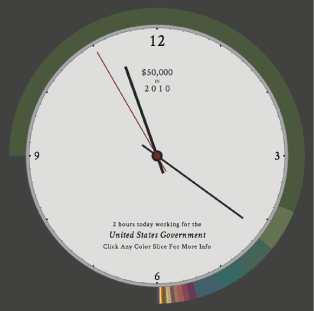 The Data Viz Challenge was a call to designers and developers to visualize how our federal income taxes are spent. Created by Eyebeam and Google. Read more. Awarded $3,000 by the jury. The remaining finalists were each awarded $500.